Safe water transforms lives – giving hope, health and communities a future. Fresh Nature is committed to making a direct impact on the water crisis through giving to water construction projects. Our Chickpeas are harvested fresh, when they are still green, full of life, flavor and nutrients. If that wasn’t good enough, they also use even less water than traditional eco-friendly blond chickpeas, since they are harvested earlier. The early bird gets the worm as they say, and in this case the early bird conserves even more water. Now that we have done good by the environment, let’s do good by our fellow human kind as well. Fresh Nature is a proud supporter of Water.org. Many of us have no idea what it’s like to be thirsty. We have plenty of water to drink — we just have to open a faucet! Fresh Nature started this fundraising campaign to help water.org change lives around the world. 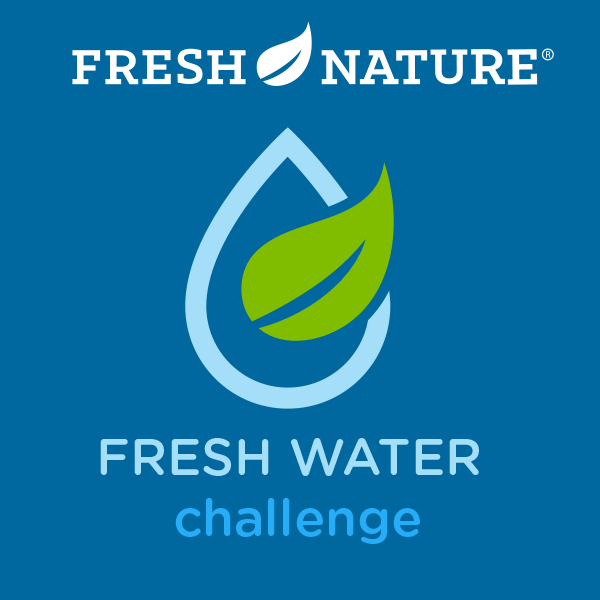 Introducing the Fresh Nature Fresh Water Challenge. Each time you dip into our Green Chickpea Hummus your smile brings a smile across the world. We commit to sending 10% of our proceeds to Water.org each time you purchase our deliciously fresh green hummus flavors. So get out there and help us share the water, spread the word, do a double dose of green good and Go Green with Green Hummus!